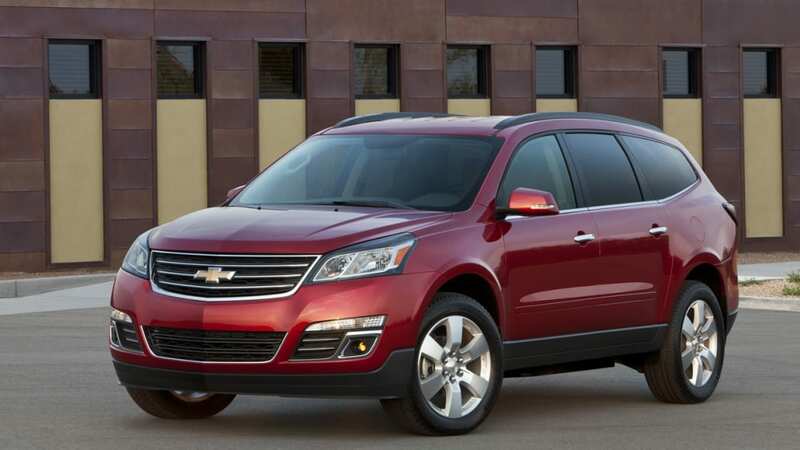 Not to be outdone today by Ford's debut of a twin-turbo Explorer Sport model, Chevrolet has taken the wraps off its redesigned 2013 Traverse. The big news is all up front, where the 2013 Traverse features what Chevy is calling the new face of its crossover utility vehicles. It includes a three-bar upper and two-bar lower grille design, as well as a "powerdome" hood, though no changes have been made to the direct-injected 3.6-liter V6 underneath. Though everything was redesigned ahead of the A-pillars, the rest of the body was left alone until you reach the D-pillars. 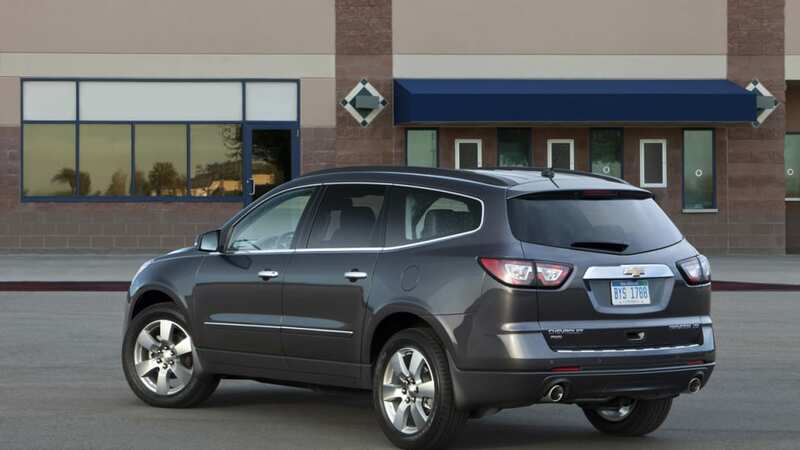 Aft of those you'll find a redesigned rear end with new taillights and liftgate and a relocated license plate pocket. 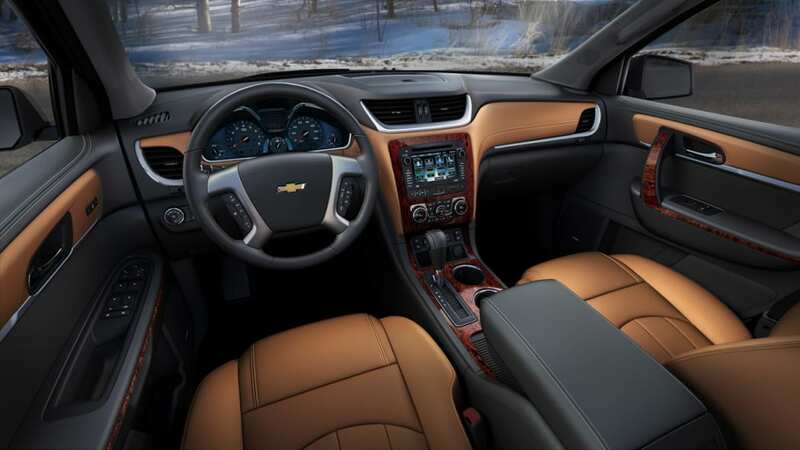 Chevy has tinkered with the interior too, but not much. 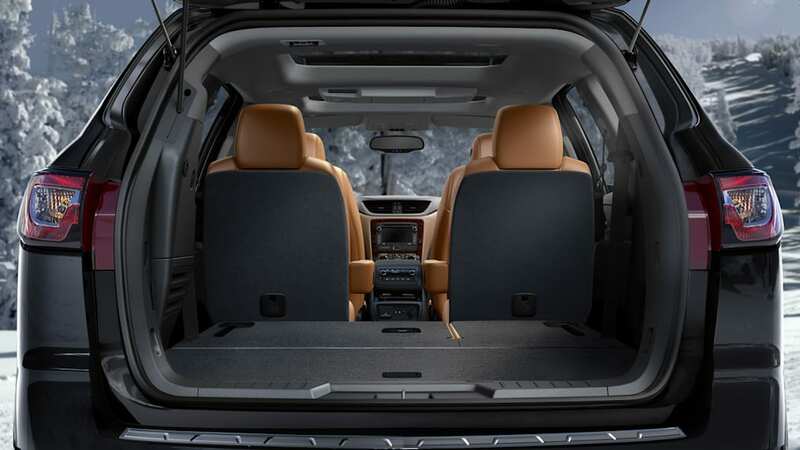 The Traverse's biggest selling point has always been its voluminous interior passenger and cargo space, and that hasn't changed. The most noteworthy addition inside is that of MyLink, GM's branded infotainment system that supports Bluetooth voice and audio, as well as apps like Pandora and Stitcher. Minor suspension adjustments round out the rather short list of changes for this mid-cycle refresh. 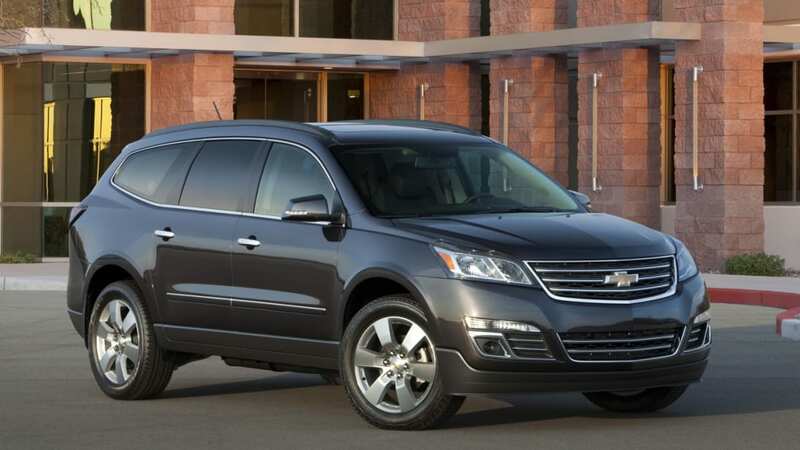 The segment's current leader is the aforementioned Explorer, which sold around 135,000 units last year. 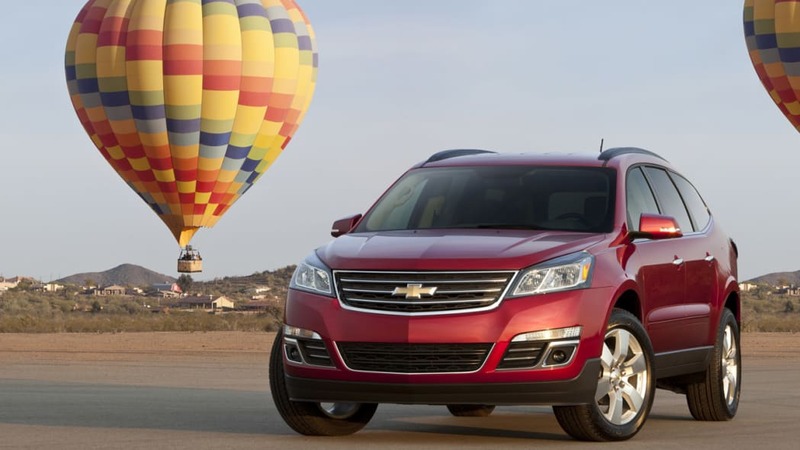 The Traverse wasn't too far behind with sales surpassing 107,000 units. Our guess is that these 2013 model year changes probably aren't enough to unseat the Explorer, but should be enough to keep the Traverse selling well in this quickly growing segment. 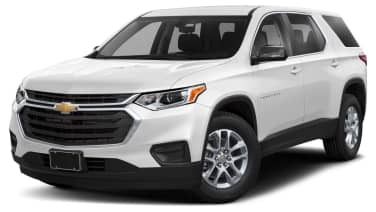 "The new Traverse is a family vehicle without compromise," said Chris Perry, vice president, Chevrolet Global Marketing and Strategy. 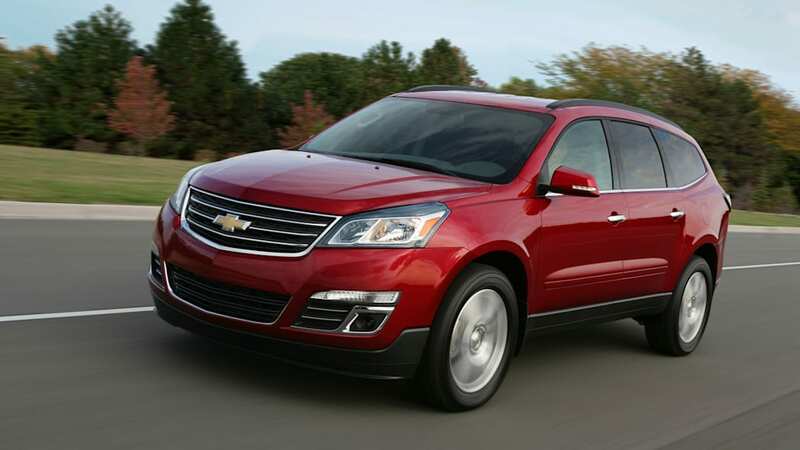 "It is more capable than many sport-utility vehicles, with as much room as a minivan and better functionality than both. 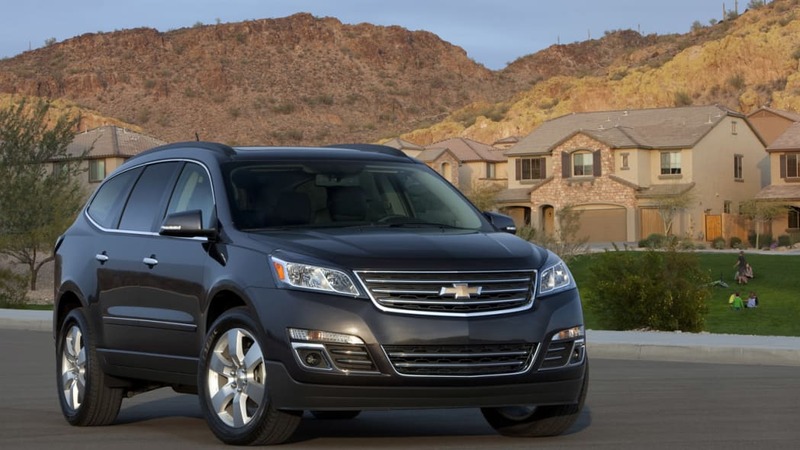 The Traverse is clever, capable and confident – and there when you need it most." The front features a new shape supported by a powerdome hood, a three-bar upper and two-bar lower grille design, new lamps, chrome accents around the grille and fog lamps, and sculpted front corners similar to the Malibu sedan. The new design captures the overall character of Chevy's new car lineup, for a consistent family resemblance. "We have injected a stronger presence into the Traverse exterior by focusing on the details," said Phillip Zak, GM director of exterior design. 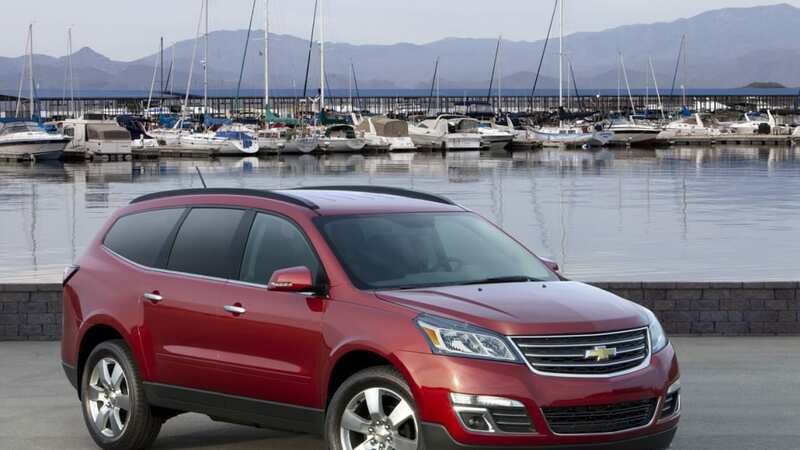 "The small but important changes give it a more vibrant personality that more closely reflects the lifestyles of the families who rely on the Traverse to get them through their busy lives." 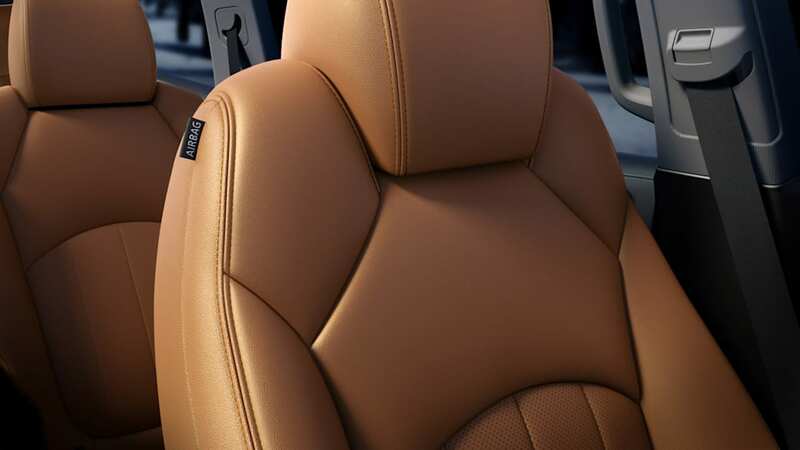 Traverse's second-row seat comes with a pair of captain's chairs or a three-passenger bench. Each incorporates Traverse's child-friendly, second-row SmartSlide feature that enables unobstructed access to the third-row bench seat with one hand – and is easy for children to operate. 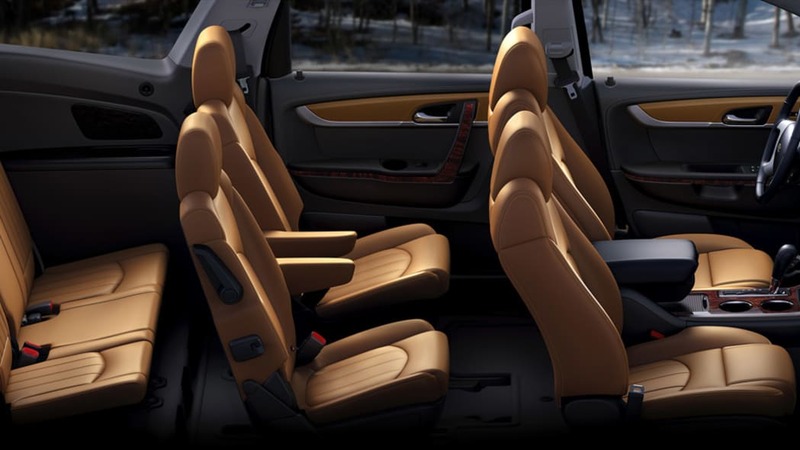 The third-row seat can comfortably accommodate three adult passengers. Traverse's 24.4 cu. ft. (691 liters) of cargo room behind its third row is larger than many full-size utility vehicles. 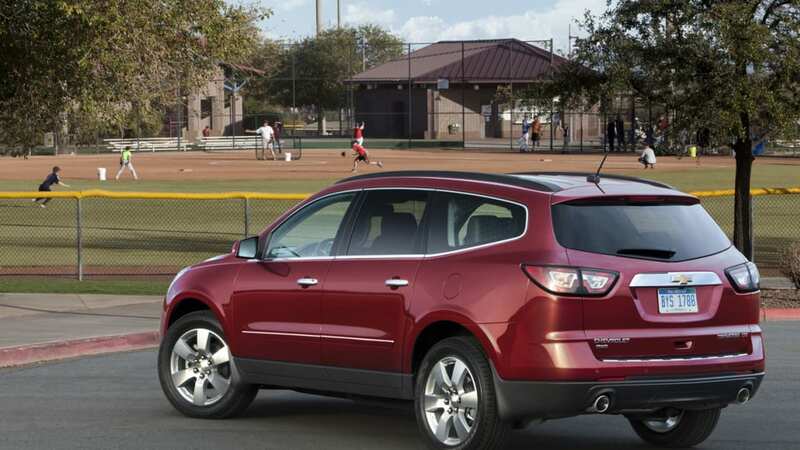 Traverse also has easy-to-operate safety belts, up to 12 cup holders and an available rear-seat entertainment system. For 2013 it enhances its safety reputation with the industry's first front center air bag. It is engineered to provide additional restraint to drivers and front passengers in far-side impact crashes, where the affected occupant is on the opposite, non-struck side of the vehicle. When a severe impact occurs, the air bag deploys in milliseconds from the inboard side of the driver's seat and inflates between the driver and front passenger, providing added protection for both front occupants. "While no restraint technology or feature can address all body areas or all potential injuries, the front center air bag is designed to address field-relevant, side-impact crashes that are not addressed by current regulatory or consumer metric test conditions," said Gay Kent, GM executive director of Vehicle Safety and Crashworthiness. "It works with the vehicle's other air bags, safety belts and structure to deliver a safer occupant environment." 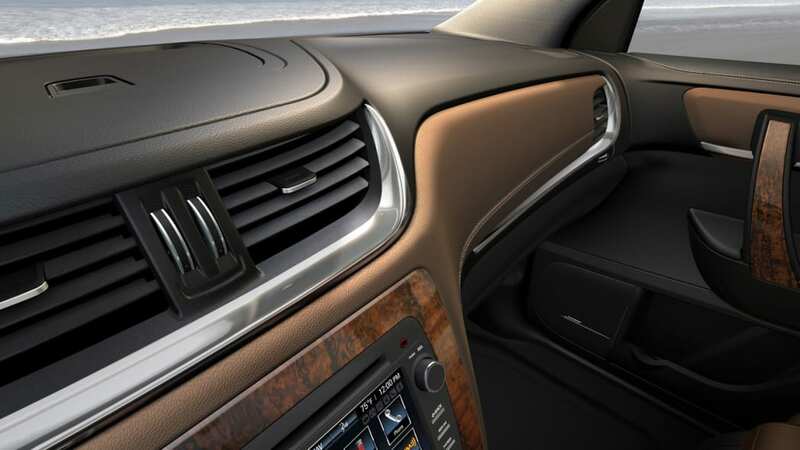 • Available Side Blind Zone Alert and Rear Cross Traffic Alert systems (standard on LTZ) use radar to watch spots the driver may not see – and provide visible and audible warnings to help prevent collisions. • Standard head curtain side air bags with rollover protection for outboard occupants in all seating rows. In addition to providing protection in moderate-to-severe side crashes, the roof-mounted head curtain air bags will deploy in a rollover to help provide increased occupant protection and containment. • StabiliTrak electronic stability control with rollover mitigation technology is standard on all models and incorporates full-function traction control. • Standard rearview camera system is designed to provide the driver with added capability to view what is in the rearward path of the vehicle. • Standard four-wheel-disc brake system with ABS featuring smooth, quiet operation, longer pad life and more resistance to brake pulsation. • Safety belt pretensioners reduce forward movement during a collision, and are standard on the front safety belts, along with load-limiting retractors that help limit the belts' impact on the occupants' chest. The dynamic locking latch plate locks to hold the occupants' pelvis in place. • LATCH (Lower Anchors and Tethers for CHildren) child seat attachment system is included in outboard second-row seating positions. 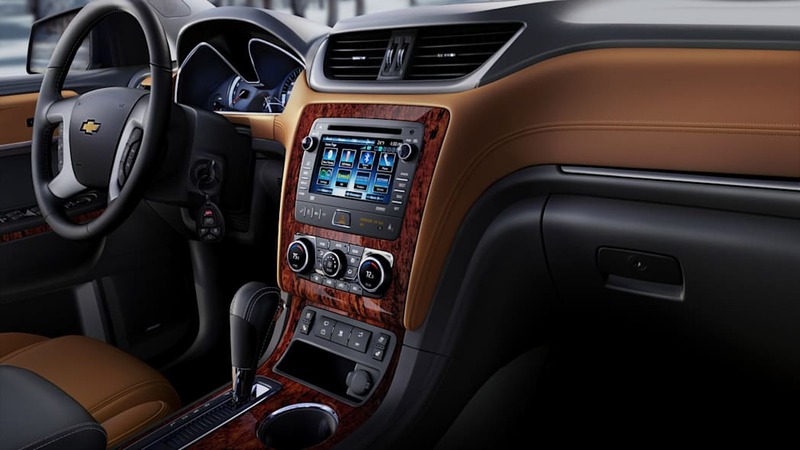 • Tire pressure monitoring system is standard on all models. • Strong body structure to absorb crash energy and provide a protective "safety cage" around occupants. • Standard hill start assist brakes help reduce the tendency of a vehicle to roll forward or backward on a hill after the brake pedal is released by momentarily retaining pressure on the brake discs. • OnStar is the leading provider of in-vehicle safety, security and information services in the United States and Canada. • Six months of complimentary OnStar Directions and Connections service with Turn-by-Turn Navigation for easier route guidance comes on all Traverse models. The feature is easy to use because all directions are sent to the car by an advisor, without the need to stop. Turn-by-Turn can be cost-effective, since map updates and aftermarket navigation systems are not needed. • Stolen Vehicle Assistance helps police track the vehicle. • OnStar Mobile App allows owners with Android™ or Apple™ smart phones to remotely start the engine, lock and unlock doors and view vital vehicle information such as tire pressure, fuel tank level, range, remaining oil life, etc.